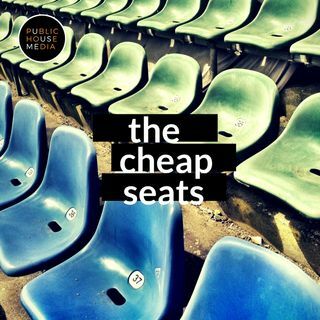 We've got another tasty edition of The Cheap Seats presented by Public House Media in store for you today. Hosts Baxter Colburn and Matt Coyne brave another snowy day up high in their cheap seats to bring you the latest sports headlines. CBS 58 Sports Director Kevin Holden joins the program for the guys "Calling Home" segment to talk all things Green Bay Packers. Will the Packers do something significant in free agency? What about in the NFL Draft in 48 days? Will they ... See More actually sign a good backup quarterback? These questions and many others will be answered by Kevin Holden. Finally, with March Madness looming a few days away, the guys get ready for busted brackets and broken hearts. Don't forget to answer our TWO poll questions of the day. Pizza Hut vs. Papa Johns, and is NFL free agency the best type of free agency among major sports? Cast your vote on The Cheap Seats Sports Podcast Facebook page.